Per the Zetas, EMP is like lightning, pointed and targeted. Note the association between the electrical hub at the Hoboken terminal on the river bank with water. This was an invitation! Train number 1614 on the Pascack Valley line failed to stop as it arrived at the terminal. It continued beyond the tracks and onto the concourse. The roof of the structure collapsed and the platform was severely damaged. Federal rail inspectors were worried about a possible accident at New Jersey Transit; it's why they were auditing the railroad. Three other accidents the very same terminal involving New Jersey Transit Trains slamming into a bumper stop in the last 10 years. a source close to the crash inquiry tells us investigators are not happy that the event data recorder in the back locomotive was not working. While there is a black box in the front cab, it's been buried under debris for days. ZetaTalk Insight 10/8/2016: What caused the Hoboken crash? The engineer was not the cause, nor is he suspected of being the cause, as he was drug and alcohol free and well rested and had an impeccable record. The track did not have an automatic stop, mandated in a federal rollout, as funds were lacking. But the engineer stated he had powered down to 10 mph, so why did the train suddenly rush forward? The authorities are delaying announcing the truth, claiming they cannot dig out the black box from the front of the train due to asbestos in the wreckage, as they know the answer. It was electro-magnetic pulse (EMP) and to confess to the public that the electric trains on the busy East Coast corridor are afflicted by this is to doom commutes and commerce, in their opinion. Thus, when a cause is eventually announced, it will be deemed a mechanical failure. EMP is very pointed in its effect on electronics. This is akin to lightning, which has an origin and a target in its path. Hoboken is on a river bank, thus the attraction of water. Had the train been elsewhere on a straight-away, the surge would likely not have been noticed. Will the engineer be blamed? The NTSA did release a finding, based on the black box recovered from the front of the train. The train had indeed been within the speed limit upon approach, as the engineer had reported. The speed limit was 10 mph and in the minute before the crash, the engineer had the train at 8 mph with the throttle in the idle position. Then 38 seconds before the crash the train took off, speeding to 21 mph before the startled engineer applied the emergency brake just a second before the crash. The conclusion was that the procedure should be changed so that an engineer would never be alone in the cab when approaching a terminal. Thus rather than admitting EMP, once again, they blame the engineer or pilot. The New Jersey Transit train that slammed into the Hoboken station inexplicably accelerated from 8 to 21 mph in the seconds before it crashed, killing a woman on the platform and injuring more than 100 others. The National Transportation Safety Board said the train was traveling at just 8 mph and that the throttle was in the idle position less than a minute before the September 29 wreck. But roughly 38 seconds before impact, the throttle suddenly increased and “train speed began to increase and reached a maximum of about 21 mph,” the board said in a statement. The board offered no explanation for the sudden acceleration. The engineer, Thomas Gallagher, 48, hit the emergency brake less than a second before the speeding train ploughed into the bumping post at the end of the rail line and then crashed into the station itself. 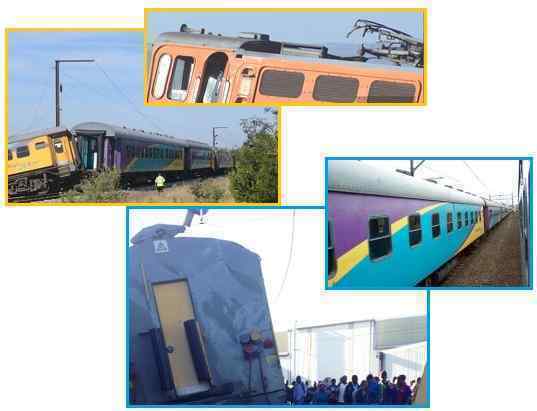 EMP is on the increase in electric trains, present in S Africa in 2015 and also during the Amtrac crash in Philadelphia in 2015. But have we heard an admission that EMP was involved? Nope. 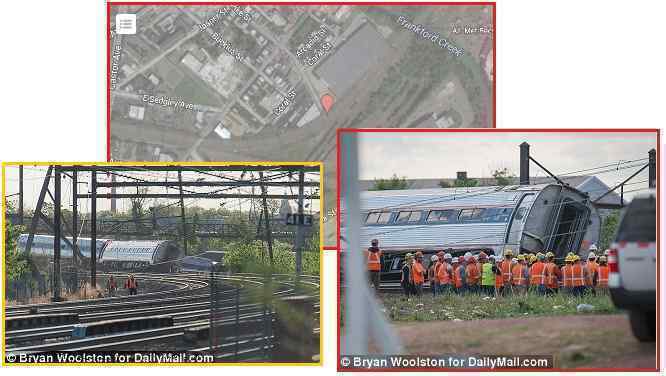 ZetaTalk Conclusion 5/30/2015: The train wrecks in S Africa on April 28 and May 20, 2015 both involved electric trains. What is refreshing in these electromagnetic pulse situations in S Africa is that scapegoating of personnel does not seem to be in process. The Amtrac train crash in Philadelphia, where the operator was impeccable in his behavior and history, will likely land on the operator in some manner unless they can blame vandals thowing rocks at the windshield as the distraction. Anything but the truth. Anything but admitting what is affecting electronic air and rail travel these days. ZetaTalk Conclusion 5/16/2015: Lowlands, such as the Philadelphia Amtrak curve, are where electro-magnetic pulse is most likely to occur. Lowlands are soggy, full of water which is a superb conduit for electricity. We predicted that the East Coast would be subject to more electro-magnetic pulse, and this has occurred. Pulse causes brownouts but also surge, as occurred in the Amtrak train. Are Russia and the US about to lob nukes at each other? This was implied in early October when Russia instituted an exercise requiring 40 million of their citizens to take to bomb shelters between October 4-7. The Russian Duma, scheduled to meet on October 17, switched their date to October 5 and met in a bomb shelter. 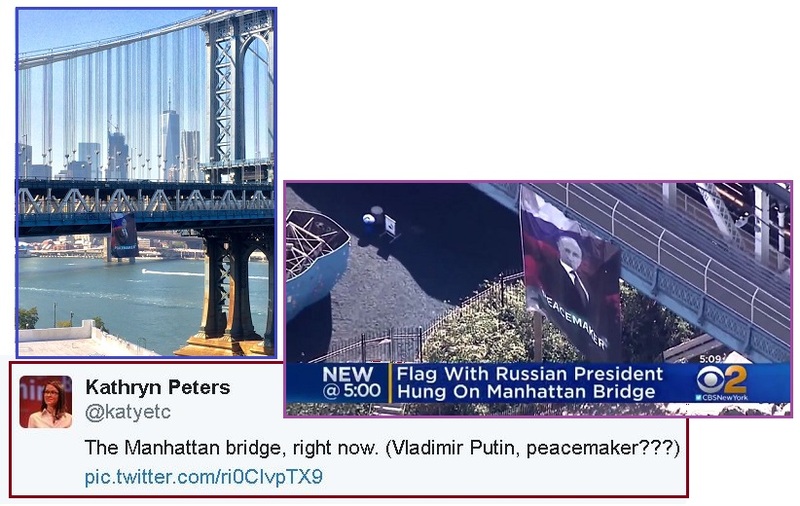 This was a Russian reaction to obvious threats by the US, including those made by a US general. Per the Zetas, there are those in the US who feel displaced in Syria, thus the threats, but Putin called their bluff. Military Told Prepare for Tactical Nuclear Exchange with Russia in Syria! Military members from the United States who are in and around Syria have been calling their families back in the states telling them "We have been told to prepare for a tactical nuclear exchange with Russia in Syria and forces at home in the US have been ordered to prepare for one-for-one intercontinental ballistic missile exchange(s) with Russia once the fighting breaks out in Syria!" Further, those conversations have included warnings to families to immediately relocate away from US Military bases which are expected to be targets of any intercontinental attack. As tensions rise in the Middle East, an official TV channels in Russia has issued a chilling warning that war with the West could be imminent. Zvezda, a nationwide TV service run by the country’s Ministry of Defence, said last week, ‘Schizophrenics from America are sharpening nuclear weapons for Moscow.’ Russia has clashed with the Western powers over its policy in Syria – where it’s accused of bombing civilians – and the U.S suspended negotiations with the country yesterday. Army Chief of Staff Gen. Mark Milley warned last night that the United States was ready to “destroy” its enemies in comments that were clearly directed at Russia. The General went on to warn that Russia and other countries had taken advantage of the U.S. being focused on the war on terror. 40 million Russians from all sectors of government are currently taking part in a nationwide emergency drill that will wargame “evacuation” procedures during a national crisis. Legislative elections were held in Russia on 18 September 2016. The first formal session of the new legislature was scheduled for October 17. Russia has now accelerated the date to October 5, and all the members of the legislature will meet in a bomb shelter as part of the upcoming" exercise" outlined above. The tensions were over the battle for Aleppo, where US backed rebels fighting to topple Assad in Syria are headquartered. The problem? These rebels, armed by the US, had long ago merged with ISIS, and Russia was intent on stamping ISIS out. The Zetas explain. 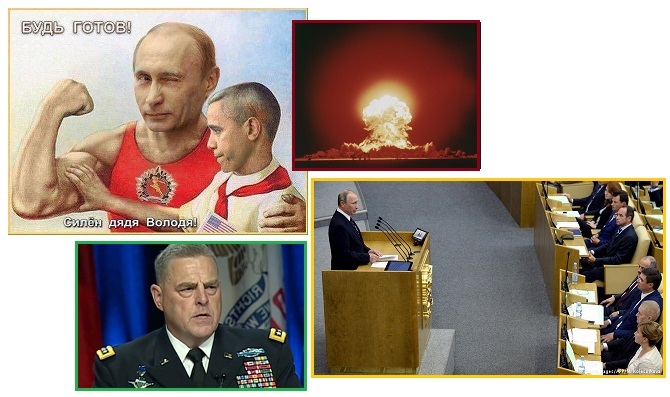 ZetaTalk Insight 10/8/2016: Are Russia and the US about to go to war, using their nuclear arsenal? Hardly. Watching the approach of Nibiru and noting the worsening wobble, Russia and the US know they are running out of time. The US, under Bush, invaded the Middle East in an oil grab. The 911 holocaust was an inside job to provide an excuse. Disasters in the Middle East followed, but in Bush’s footsteps Obama could not cancel US treaties with Israel, Saudi Arabia, and Turkey. All three were complicit in establishing and maintaining ISIS. Israel wanted Assad deposed, as he supported the Palestinian efforts. The US then funded the Syrian rebels, who then merged with ISIS so ISIS now had US armaments. The Saudi’s are of the Sunni sect, as is ISIS. Turkey, though a NATO member and providing a base to be used by the US, was brokering oil for ISIS, funding them in this way. Meanwhile, ISIS was pouring into Europe with terrorism, with Merkel’s plans to use them as a militia in the future and Erdogan’s plans to expand Turkey into a new Ottoman Empire. The Kurds, the most effective fighters against ISIS on the ground, were also being attacked by Erdogan as he fears they will break away from Turkey control. Russia came to the rescue in Syria, stopping Erodgan’s ability to broker ISIS oil, and turning the tide so that city after city was taken from ISIS. The Russian coalition included Iran (who is Shia), the Kurds, US bombers, Iraqi forces trained by the US, and Assad in Syria. Many in the US had promised Israel that Assad would be deposed, and frothed at the mouth when their plans had to pause. This reached a fever pitch in the battle for Aleppo, where former Syrian rebels were ensconced with ISIS. To end ISIS, Russia was taking the city. Period. Sabre rattling ensued, with those in the US such as Soros and the Bush/Clinton crime family leading the charge. Dunford is in charge, but they are assuming the mantle. Thus claims that the US could engage Russia, and use nukes. How does one push back during this war of words? Putin chose to counter these threats by clever maneuver. While he is bombing Aleppo, his country is prepared to survive a nuclear attack. Let the US beware unless they too are moving their key people into bunkers. Putin called their bluff. The war of words continued. 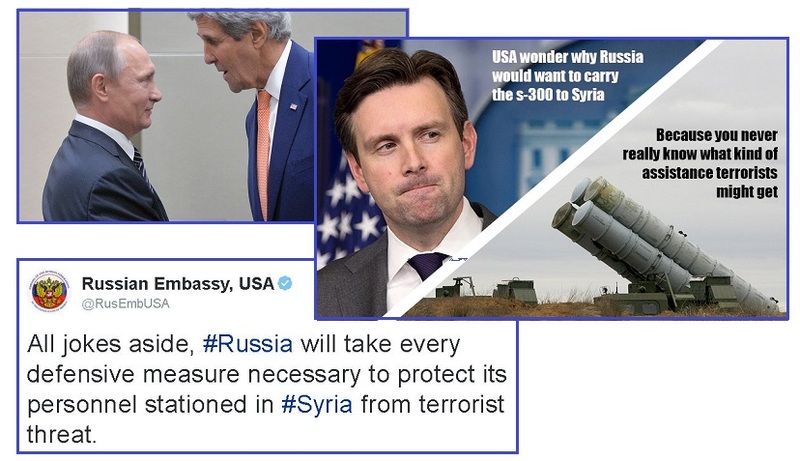 The Russian government is ratcheting up warnings – on Twitter – to the U.S. government not to interfere with its military operations in Syria, even suggesting American aircraft could be targeted by its “air defense systems.” The SA-23 Gladiator anti-missile system, which is part of the S-300VM system, has been deployed to Syria – marking the first time it’s been deployed outside Russia. Russian Defense Ministry spokesman Maj. Gen. Igor Konashenkov claimed the system was sent to defend against attacks by terrorist groups, including ISIS and Nusra, which is an Al Qaeda-linked group based in Syria. The Washington Post recently reported the Obama administration is weighing potential strikes against the Assad regime – the White House has neither confirmed nor denied the report. The bellicose tweet was just the latest example of an increasingly snarky, sarcastic and even personal, Russian tone toward the U.S. Yet Kerry and President Barack Obama continue to pursue dialogue with Moscow, convinced that the only thing worse than talking through the escalating insults is not talking at all. Russia sees a link between the U.S. State Department’s ‘body bags’ threat and this week’s shelling of Russia’s Embassy in Damascus. 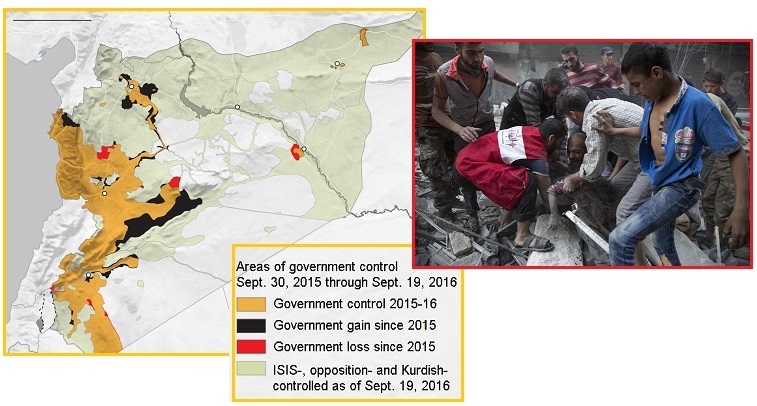 The uproar started when the US “accidentally” bombed Syrian soldiers fighting ISIS. Russia did not accept that this was an accident. The US has been struggling with internal conflict within the US to resolve their support of the Syrian rebels opposing Assad, despite the alliance of these rebels with ISIS. As is known, ISIS does not hesitate to use human shields, and civilians and hospitals were not allowed to leave prior to the battle. Syrian state television reported that troops loyal to the government of President Bashar al-Assad had captured the rebel-held neighborhood of Farafra, near the city’s medieval citadel. The Syrian Observatory for Human Rights, a monitoring organization based in London, confirmed that government forces had pushed into the center of Aleppo as part of their siege of rebel-held areas in the eastern part of what was once Syria’s commercial capital. We have not had a Prong 3 nudge since the retrograde orbit of Niku was featured in the press in late August. At that time, the Zetas stated that referencing the Annunaki would be part of the Prong 3 admissions. ZetaTalk Insight 8/27/2016: The trend has been to discover exoplanets galore, so as to pave the way for the discovery of Nibiru in the Dark Energy Survey star charts, in a retrograde orbit, arriving right where it rides today, next to the Sun. The trend has been to emphasize potentially life bearing planets being discovered, so as to pave the way to a tacit admission that the alien presence is real, and has been on Earth for millennia. The public is to arrive at this conclusion, as no formal announcement about the alien presence will be forthcoming from the establishment. We will avoid the sticky cover-up by just leaping to the conclusion. Now six weeks later, the Iraqi Transport Minister confirmed that the Zetas were right once again. In the first significant Prong 3 nudge since Niku hit the press, the Annunaki, Sitchin’s translations of the ancient Sumerian texts, and Nibiru were in the press. Per the Zetas, just as predicted, and another Prong 3 nudge. During a visit to the Dhi Qar Governorate, Iraqi Transport Minister Kazem Finjan said that Dhi Qar was the venue of the first ever airport, built by the Sumerians. Speaking at a news conference, Minister Finjan said that the Sumerian airport was used for space travel and helped the Sumerians discover the planet Nibiru. A senior government minister has shockingly claimed that a fully-fledged space centre that launched crafts into our solar system was developed on Earth 7,000 years ago. 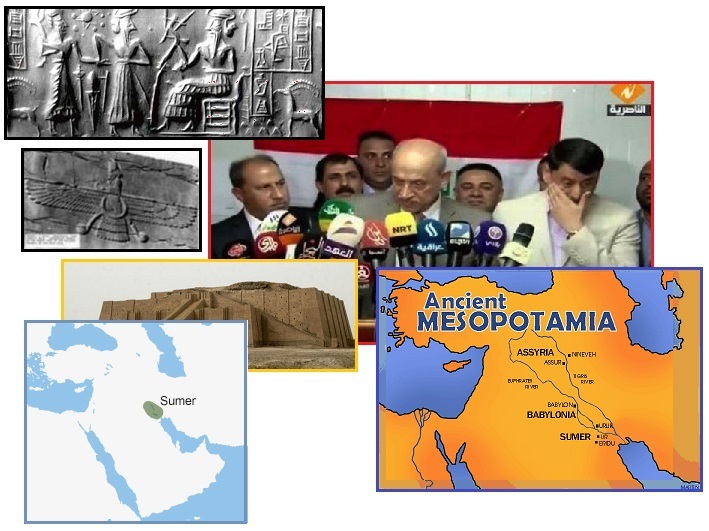 Kazem Finjan, Iraqi Minister for Transport, told a packed press conference the space station was developed in the El Naciria area in around 5,000 BC. It was used as a launch site for spacecraft to explore our solar system and discovered mythical planet Nibiru, also known as Planet X, he said. Mesopotamia, now in south Iraq, is largely seen as the birthplace of civilisation, but according to Mr Finjan, it was also the birthplace of space exploration and even saw an ancient mission which first identified dwarf planet Pluto, long before its official discovery in 1933. Iraqi Official Claims Airport was once an ET Base! Finjan told incredulous reporters to read the work of Zecharia Sitchin if they did not believe him. The official went on to detail how the location of the airport was a preferred spot of the Annunaki because its weather conditions made it ideal for launches to other planets. ZetaTalk Confirmation 10/8/2016: Was the mention of the ancient Sumerian city of El Naciria as a spaceport for the Annunaki by the Iraqi Transport Minister a deliberate assist to Prong 3? Without a doubt, and the fact that his words hit the media to the extent they did was likewise very deliberate. Prong 3 is poised to point to Nibiru where it sits today, next to the Sun and within the orbit of Venus. There will be a push and a pull in this regard, with the Dark Energy Survey looking for evidence of exoplanets close by via their infrared surveys over the past few years being the push, while chatter about the Annunaki in Sumer in the past will be the pull. The two ends will at some point meet. And almost simultaneously in October, another Prong 3 push by the Dark Energy Survey team. They are moving closer in their revelations, pointing toward Nibiru. Proxima b was way out there, a distant star, but 2014 UZ224 is within the Solar System. But one of the most interesting things about the new object, known for the time being as 2014 UZ224, is the way astronomers found it. David Gerdes of the University of Michigan led the team that found the new dwarf planet. He helped develop a special camera called the Dark Energy Camera that the U.S. Department of Energy commissioned to make a map of distant galaxies. ZetaTalk Confirmation 10/15/2016: Proxima b was in the news on August 24, 2016 and now not six weeks later on October 11, 2016 2014 UZ224 is in the news. 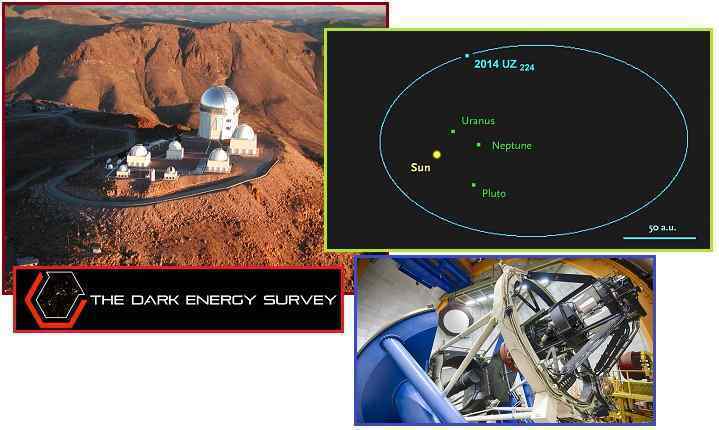 BOTH planets were discovered by the Dark Energy Survey via infrared scan. Nether of these planets are new, but were known to astronomers for years. What is new is the need to bring the infrared scan of the Solar System into the public consciousness. We are indeed getting closer to “discovering” Nibiru, as where Proxima b was distant, 2014 UZ224 is within the Solar System. This is another push toward the “discovery”, just as the Iraq Transport Ministers focus on an ancient Sumerian space port and the release of a Wiki article in the Podesta files mentioning ZetaTalk are a pull toward connecting the dots. It will not be long now.